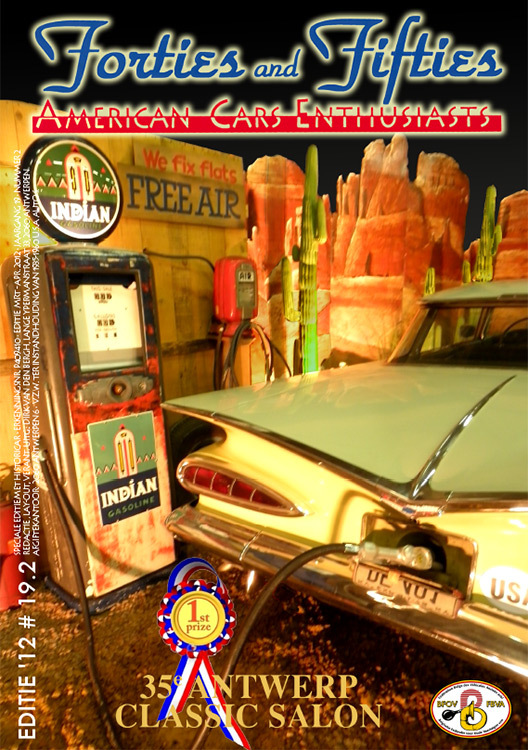 Our club is been founded in 1993 especially for owners of original american cars. The allowed production years of the cars are from 1935 till 1960 (included). Most of our members are from Flandres: the Dutch speaking part of Belgium. One member from eight is based in the Netherlands. 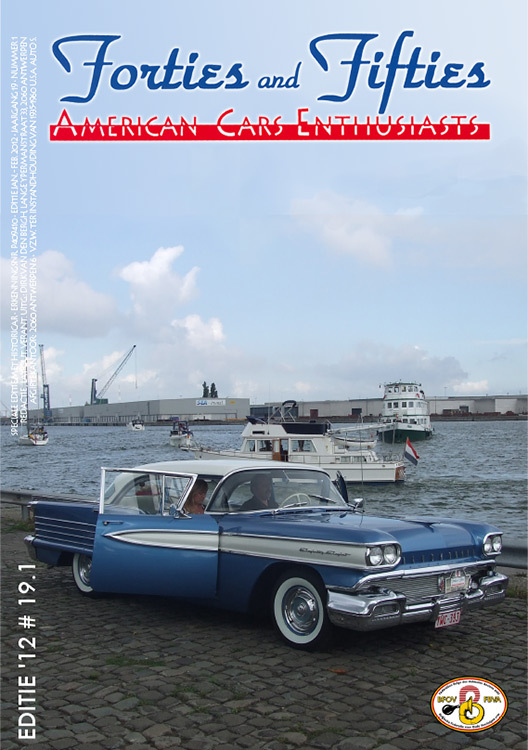 All our invitations, clubmagazines, news flashes are all issued in Dutch only. At the moment there are ± 160 members of which 93 % owns one ore more of these classic cars. Also vans are allowed and trucks too but the truck drivers need to inform whenever they will participate in a meeting. (This to avoid any unexpected problem e.g. bridge too low for truck to pass etc.). Motorbikes are not allowed. At the left you can see a sample of our invitations to a meeting. At the right some of our front pages of clubmagazines. To become a member cost $ 75 and is much cheaper than filling up your gastank!